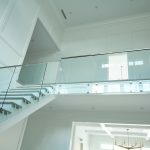 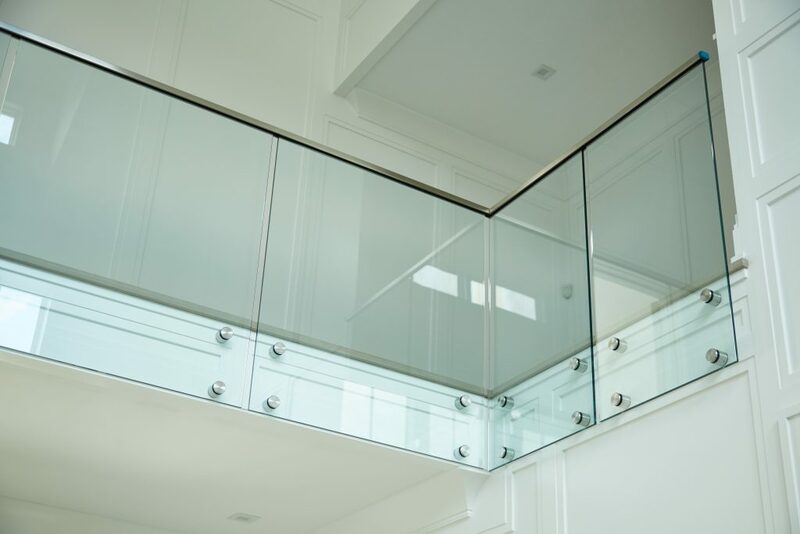 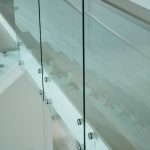 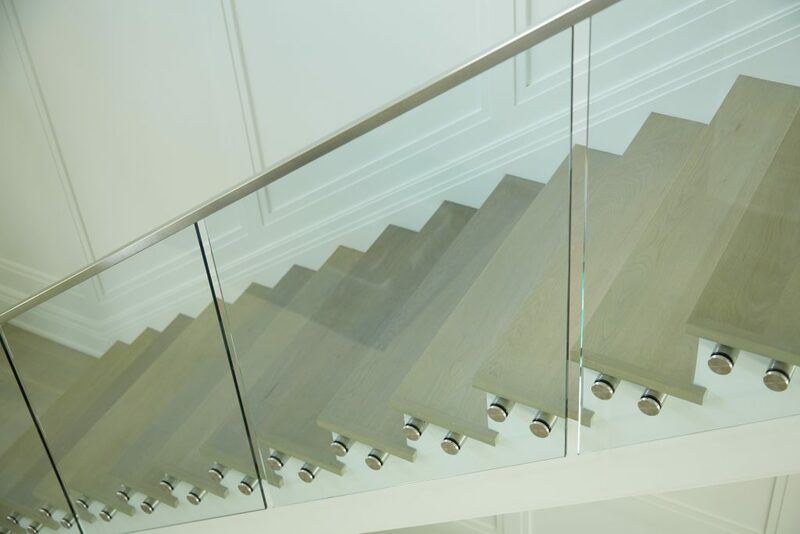 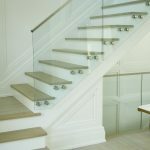 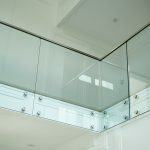 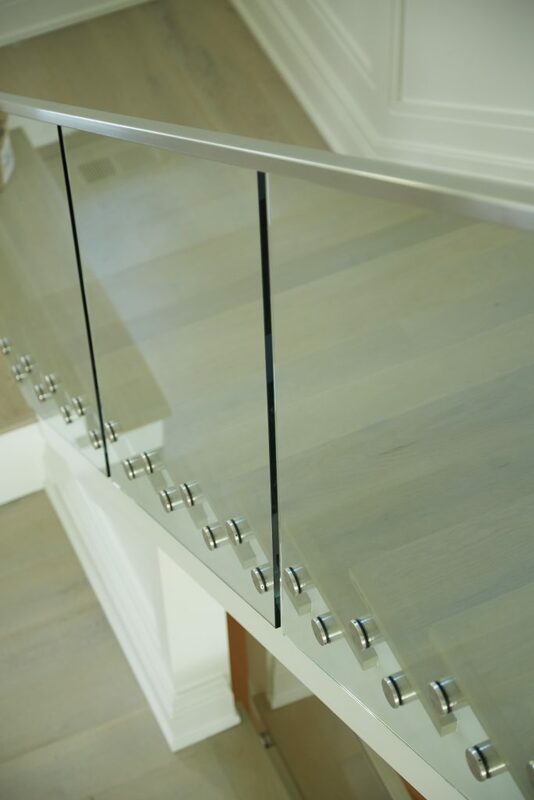 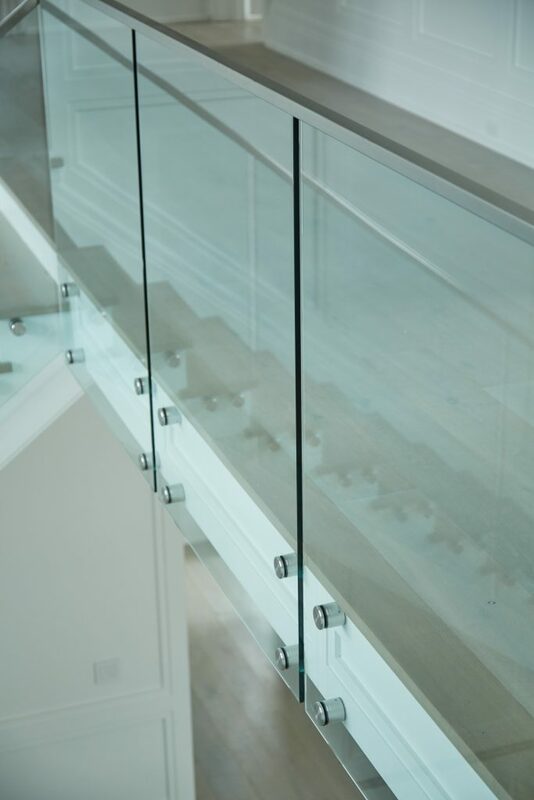 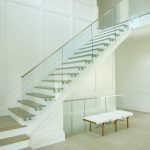 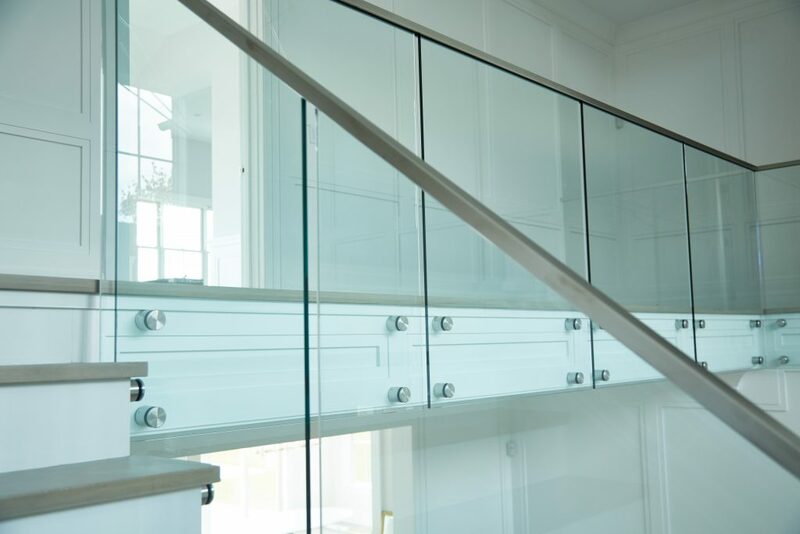 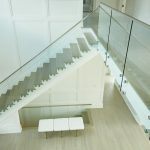 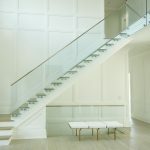 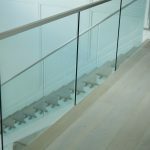 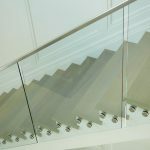 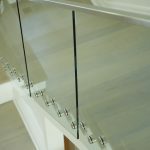 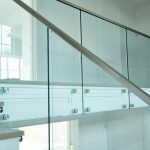 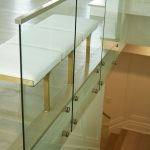 With its slim profile and clean, crisp look, glass railing will give any staircase a modern flair. 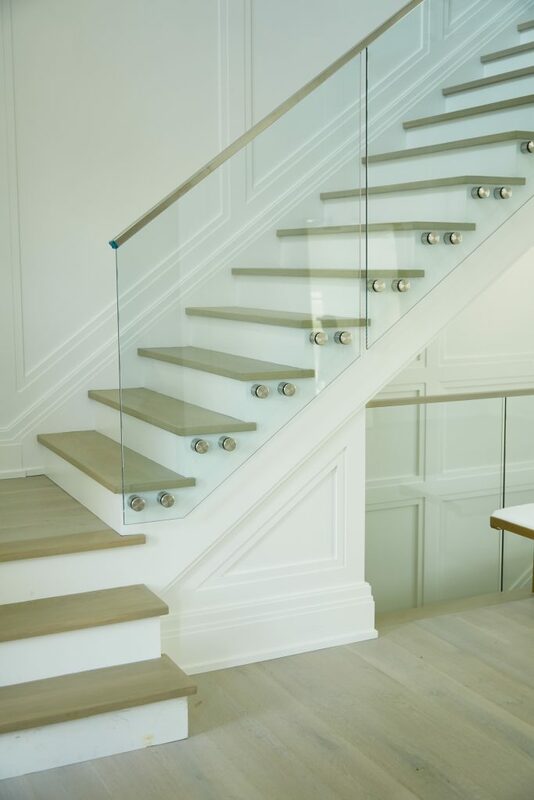 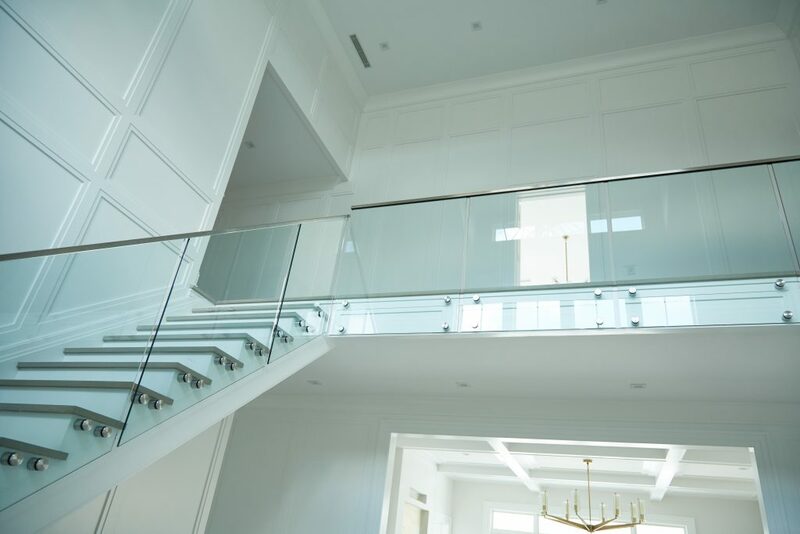 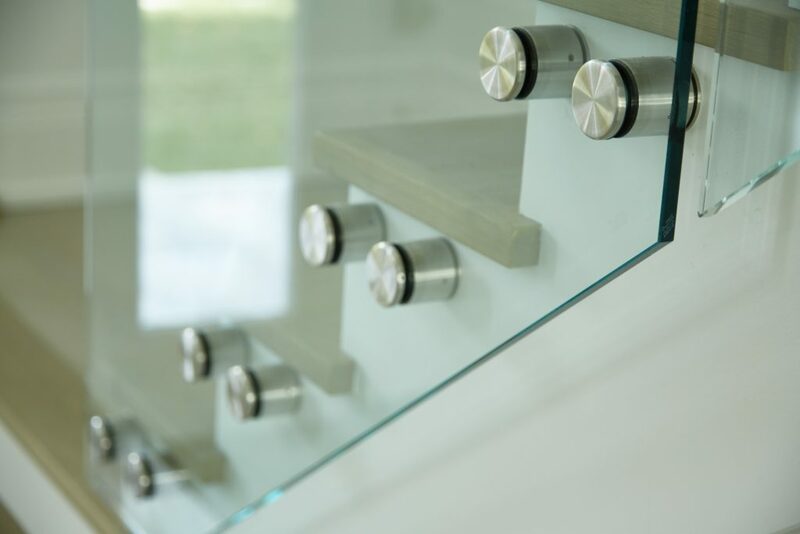 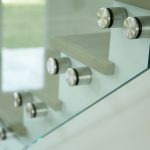 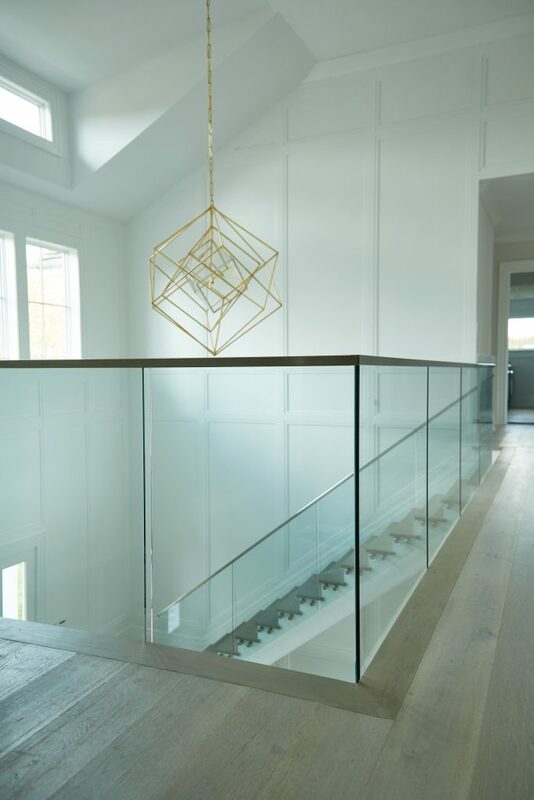 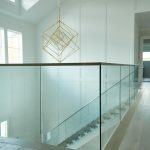 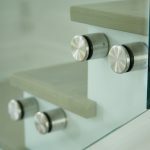 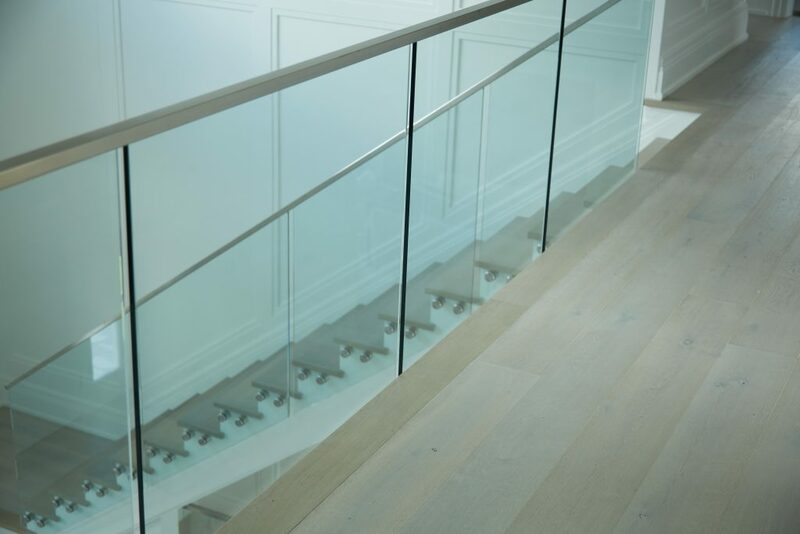 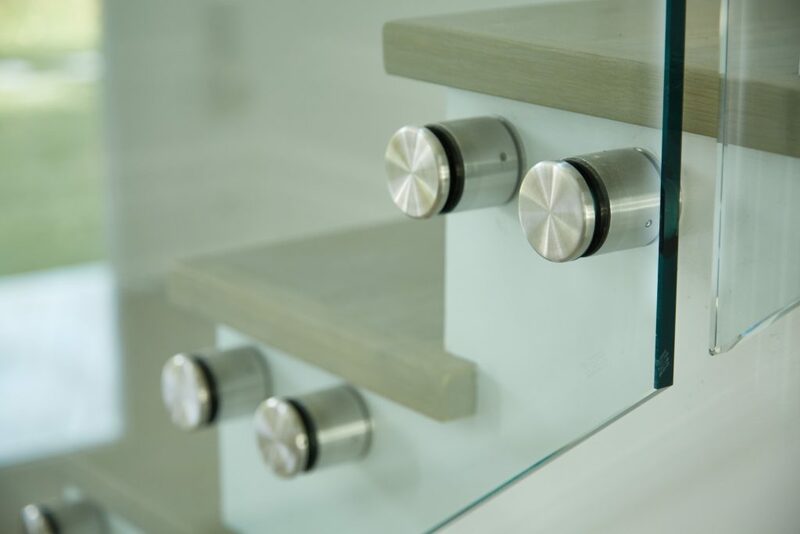 This home in Southampton, NY features elegant glass railing paired with a stainless steel graspable metal cap and our innovative standoff pins. 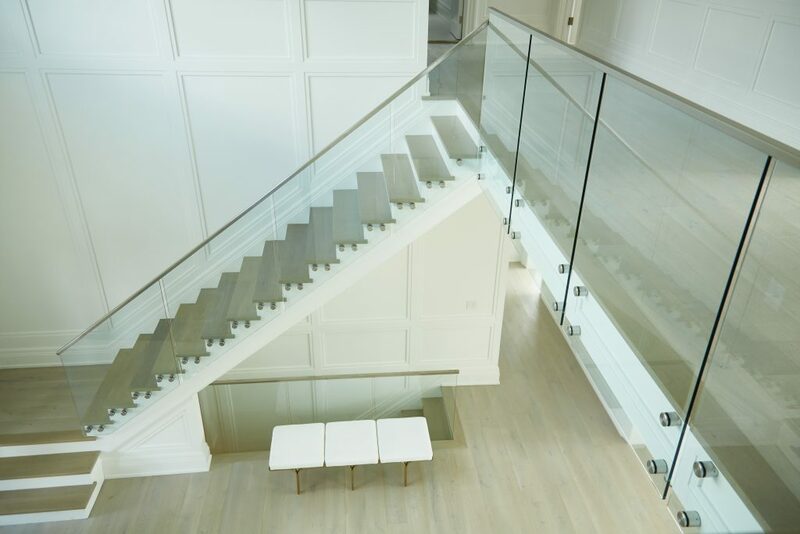 Clear glass panels provide a natural complement to this space’s already minimalist, open design. 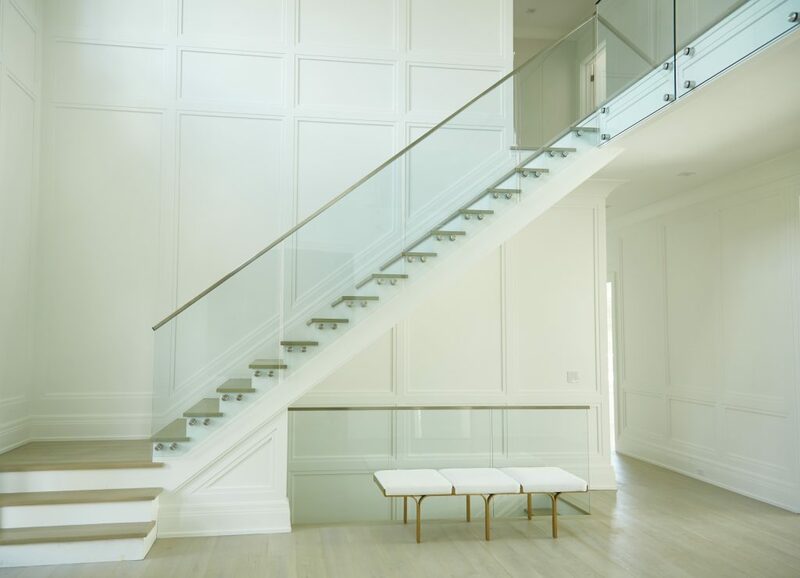 This foyer is truly a masterpiece.